#1 Small Business Expert Influencer Honoree Community Vote Goes to Robert J. Chandler! Cloud9’s own Robert J. Chandler has won the vote for category EXPERT for the 2012 Small Business Influencer Awards produced by Small Business Trends and BlackBerry. The Small Business Influencer Awards honor those who are influential to small businesses in North America, through the products, services, knowledge, information or support they provide to the small business market. The Small Business Influencer Awards are designed to recognize the unsung heroes of small businesses – those who support and encourage entrepreneurs and small business owners, and help them achieve success and stay successful. Experts are defined as “mavens, authors, speakers, consultants, advocates, and professionals” which was a natural fit for Robert Chandler who is all of the above! Chandler, author of the book “Together in the Cloud” is an acknowledged industry visionary and leader in cloud hosting technology since 2000. Previously Chandler was honored with the award of “Top 40 Under 40” by the CPA Practice Advisor Magazine in 2007, 2008, and 2010. 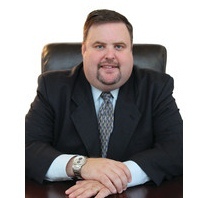 He is also a leading national advocate of modern accounting methods that include universal Internet service with remote access to client files, outsourcing of bookkeeping work, automated accounting systems and techniques, professional certification for all bookkeeping practitioners, and Cloud computing advancements for an aging industry. He is a sought-after speaker for Accounting and Technology conferences nationwide, and is actively involved in moving the accounting industry forward with advancements in technology. Chandler garnered 3,355 votes to make him the #1 influencer in the category of Experts. “I am truly honored to be given this degree of acknowledgement. It’s the small business owners that make this country what it is and I am so grateful to all of my supporters for recognizing the strides we have made.” Chandler’s book, info, and opportunities to schedule a speaking engagement are all available at www.robertjchandler.com.